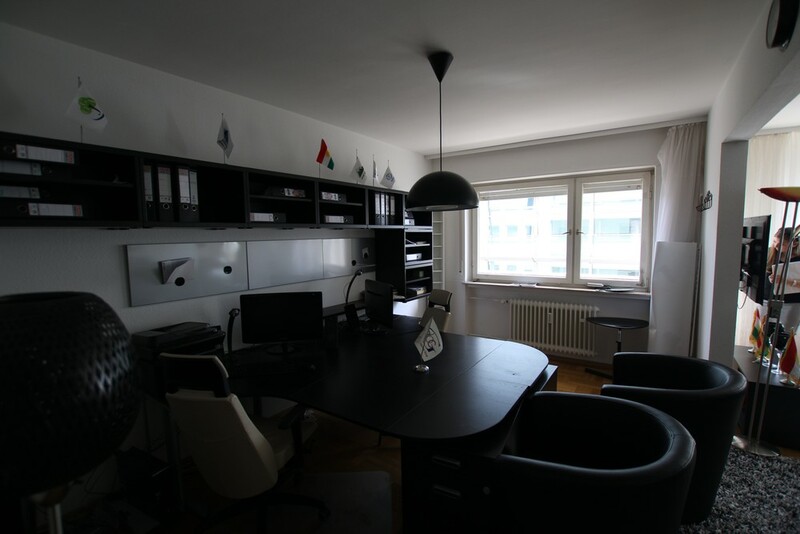 On Monday, we met with our local relocation expert to look at possible apartments in Mannheim. 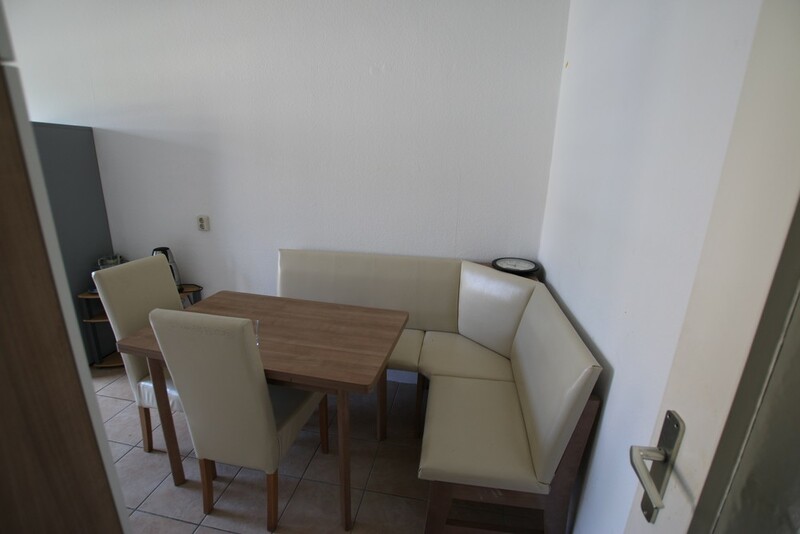 We had a couple of requirements: a minimum size (approximately 70 square meters), close to the train station or tram stop, already had a fully fitted kitchen, three rooms (not necessarily bedrooms - more on this in a minute), and allowed cats. BASF gives us a stipend to work with and we can either rent a fully furnished apartment, or an unfurnished one and then rent furniture. 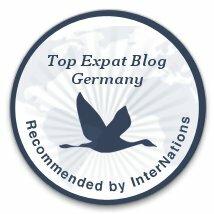 Most apartments in Germany are unfurnished. And when they say unfurnished, they mean completely empty. They usually contain walls, a toilet and a bathroom sink. No kitchen. No appliances. Not even light fixtures. They also list apartment based on the number of rooms, not bedrooms as in the US. This means that a one room apartment has just that - one room - which would serve as a bed room, living room, dining room, etc. For this reason, we wanted three rooms: a master bedroom, a living room, and a guest room/work space. Luckily, we were aware of these issues before going to see apartments, so it wasn't an issue. Go ahead a grab a coffee, some tea, or hey, even a beer, and settle in. This post is going to be on the longer side and picture heavy. So, without any further ado, let us begin. House Hunters International - Submerged Oaks Edition! 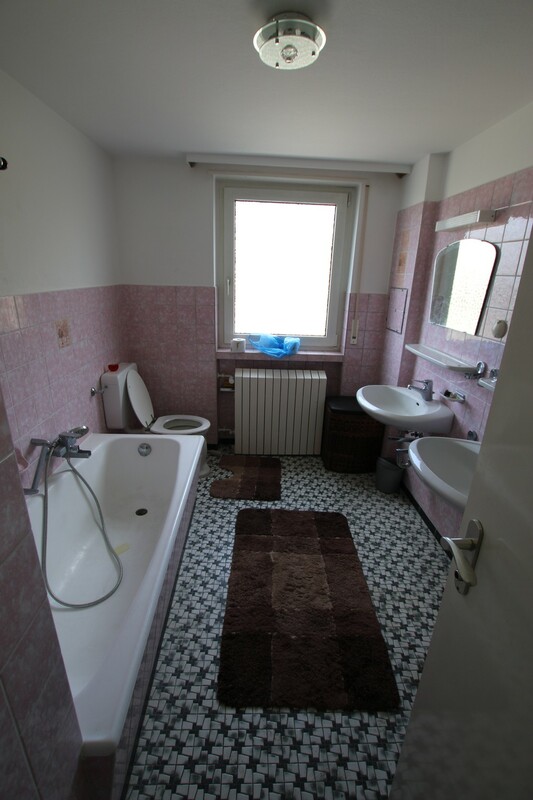 First up, a apartment within the Quadrate very close to the Hauptbahnhof. This one had not one, not two, but three balconies, a fairly spacious kitchen (as far as German kitchens are concerned), three rooms, a full bath and a WC (water closet, known as a half bath in the US). It was one of the largest we looked at and came completely furnished. They are planning on renovating it before the next occupants moved in so please excuse the pink tiling work in the bathroom. Unfortunately, we thought this one was a little too close to the train station. Next up, a cute little apartment in the Lindenhof neighborhood. This one was on the second floor of a house, had a sizable kitchen with a built-in pantry (a rarity), a large balcony accessible from both the bedroom and what would be the living room, a newly remodeled bathroom complete with a towel warming rack and allowed cats (the owners cat even came in to greet us while we were looking at it). It was very clean and also gave us access to a garage to store bikes and a pretty garden out back. At the end of the first day, this apartment was at the top of our list. We really liked the Lindenhof neighborhood - it was very quiet and really pretty, but we decided that since this is a completely new experience for us, we really wanted something more city and a little less residential. Third on the list was an apartment very close to the Hauptbahnhof and Water Tower. It was on one of the upper levels, but it had an elevator to no climbing of stairs (unless you wanted to). It was a two level apartment with a tiny kitchen, good size balcony that overlooked the quadrate, two bedrooms and a living room. When I say the kitchen was tiny, I mean tiny. Two people would have a hard time being in there at the same time and for that reason, we decided to not go with this apartment. We also look at two other apartments that didn't make the cut. They were both in the Neckarstadt - Ost neighborhood. The first was a furnished apartment and was in a building that is closest to what Americans think of as a complex. It was completely devoid of any personality though and it just didn't feel "right" to us. The other one lacked a fitted kitchen, so it was was nixed pretty quickly. Renting furniture is one thing, but renting a kitchen, while possible, is more hassle than we really want to deal with. In the next post, we will show you the apartment we decided to lease so check back soon!